Spoiler: Sulfites aren't the issue. Transparency is. It's one the world’s most important elements, and it's practically ubiquitous in wine. But some wine drinkers blame it for headaches. You know it from the "contains sulfites" warning that must, by law, appear on any bottle of wine containing 10mg per L or more of the stuff. Added to most wine in either a liquid or powder form to help snuff out bacteria or microbes that could lead to spoiling, it's actually the only ingredient in wine that producers are required to name. It's sulfur dioxide (SO2), and it's facing a reckoning. Just ask Jared and Tracey Brandt, the husband and wife duo behind Donkey & Goat, whose wine I first encountered five years ago in Los Angeles thanks to natural-wine proponent Lou Amdur. From lush, complex, vibrant and interesting whites, to elegant, perfumed and sometimes funky reds, with the token pét-nat in between, Donkey & Goat wines offer something for everyone, and no two bottles are alike. The Brandts are two of California’s biggest proponents of low-sulfite wines, but there's more to their mission than meets the eye—or bottle. Texier, a former material scientist specializing in carbon fiber based in the Rhône Valley, is a big proponent of low-sulfite wines, and laid the foundation for what would eventually become Jared and Tracey’s raison d’etre in winemaking. The couple returned to the States in 2003 and produced their first wines—just 10 barrels in a basement in San Francisco. In 2004, they moved into a bonded winery facility in a shared space in the city’s Potrero Hill neighborhood. 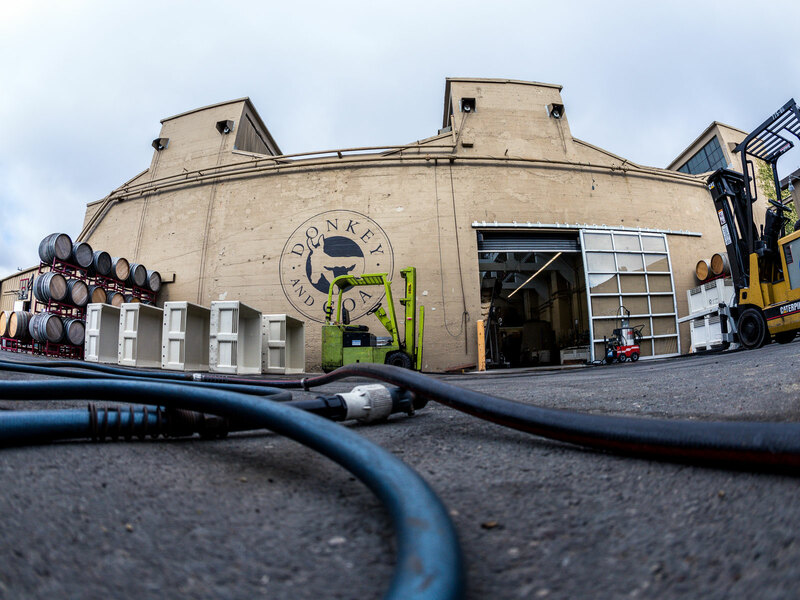 Since then, they've moved their urban winery to an old, industrial warehouse in Berkeley, California, and that's where you can find them now. Step inside, and you'll instantly see how the thick, concrete walls help keep the place impressively cool, even during the hottest summer days. After 15 years in the biz, and lots of experimentation—going from no sulfur additions to minimal sulfur, for one—the couple's style has evolved. So, as the debate over—and misinformation about—sulfite-free wine continues to rage, I sat down with Jared and Tracey to check in on how they've grown with the movement, and where they see it going. Here, Jared hits the nail on the head. Proponents of low-sulfite or sulfite-free wines are highly attuned to balance. Because they strive not to add or remove anything at all from their wines, astute microbial management is critical to not losing everything. The biggest risk is that a wine could referment, or become unstable after bottling. Jared has had his share of mishaps, and if he suspects a wine could become unstable, he’s willing to add SO2 as a safeguard. Wines with low acidity are most susceptible to becoming unstable, and adding SO2 essentially guarantees a stable wine. Pointing to a bottle on the table, he says, “that one was easy because it was just the grapes,” and had sulfites at such low levels, he didn’t have to include a note on the label. He's wondering what will happen if they change vessels, which could ultimately have big implications, if, say, they find that concrete or wood containers preclude sulfite-free wine. That could mean losing barrel-complexities, or the freshness winemakers love from fermenting in concrete. Whatever they find, for Brandt, it's all about transparency—if there's anything dogmatic about the approach at Donkey & Goat, it's that. When I ask him the question everyone wants to pose—what about the headaches?—he laughs. Unfined and unfiltered with just 11.7% alcohol, this Syrah had no sulfur additions and is fresh and vibrant with cracked white pepper, violet notes, and gobs of delicious red-berry fruit flavors. Juicy and long on the finish. Unfiltered and clocking it at a low 11.4 percent alcohol. Beautiful pale ruby hue, with crushed raspberries, cranberries, and feathery tannins, giving way to a subtle cocoa-nib finish. While no sulfur is used in the vineyard, the wine sits on its skins in concrete for five days and finishes fermenting in oak, which may release some bound sulfur. At 11 percent alcohol, it’s an easy quaffer, with a generous mouthfeel, ample acidity and redolent of crushed herbs and melon, tinged with sea-spray minerality. 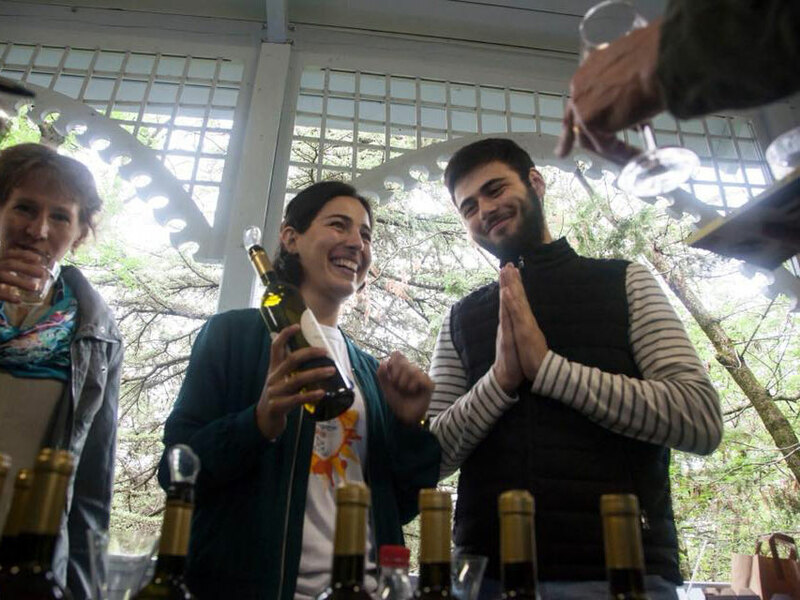 Isabelle Legeron MW’s recommends seeking out Sonoma producers Coturri Wines and Caleb Leisure Wines, Texas Hill Country producer Lewis Dickson and his La Cruz de Comal Wines, and Loire Valley producer Claire & Olivier Cousin (Wine-Searcher Link). If you’re heading to Europe, look for Catherine & Gilles Vergé in Burgundy, Alain Castex from France’s Roussillon region, or Stefano Bellotti of Cascina degli Ulivi in Piedmont, Italy whose farm-agriturismo welcomes visitors. Outside of their own wines, Jared and Tracey enjoy the low-intervention wines of Eric Texier, Graver, Radikon, Gut Oggau, and Domaine Oudin.